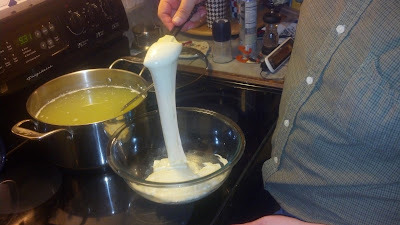 We made some mozzarella last night. First time making any cheese and it was pretty cool! What should we try next? This is on my list of things to do. 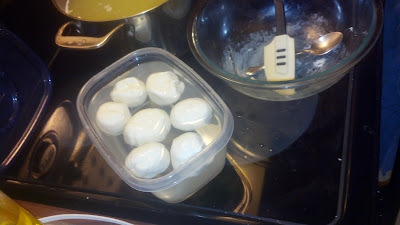 I love fresh Mozzarella! Yeah, I'd love to get into cheesemaking. 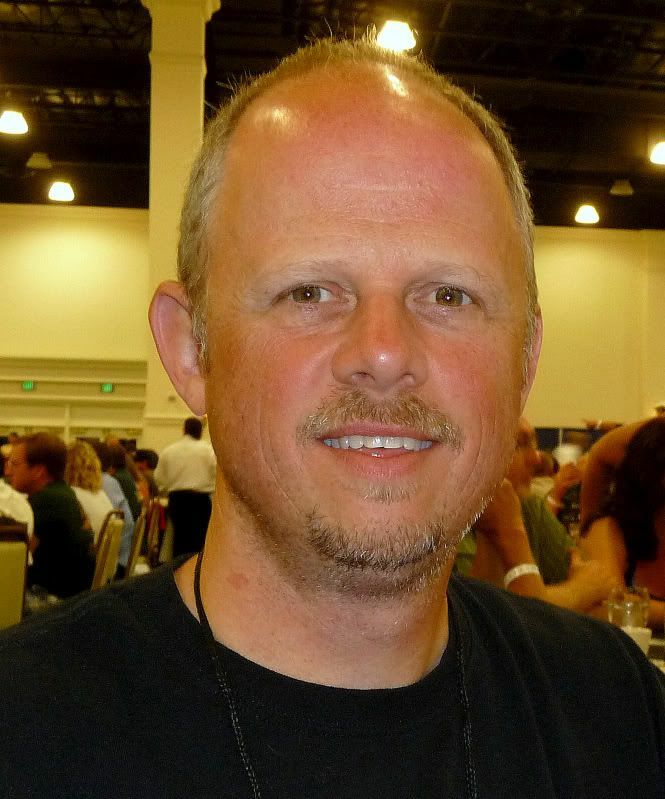 I'm a cheeseaholic, though, and I hate to think what I'd look like with cheese AND beer around all the time! 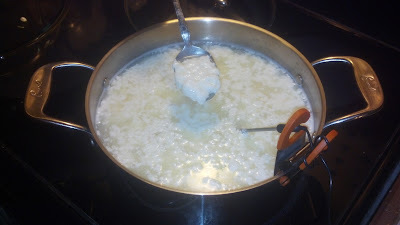 The LHBS has added cheese making kits and supplies. The wife is looking at those each time. Mozzarella is quick and easy, and fresh is great on pizza. She has the pizza thing down now, and fresh Mozzarella is the next step. Nice pics. I might just show those to her. Yeah, my LHBS has both cheese making and coffee roasting equipment. I just close my eyes when I walk by the display. I have to admit, the coffee roasting is what has my interest. My LHBS is not into that, yet. A good friend down the road is a killer homebrewer who also makes cheese and sausage and roasts coffee, has a vineyard and makes large amounts of wine and raises sheep. His wife spins the wool. I feel SO inadequate! The last mozz I made the pH was missed when trying to rush the process. Somehow I made balls of it and vac sealed each. After 3-4 weeks in the fridge it became an excellent spreadable cheese similar to Laughing Cow. 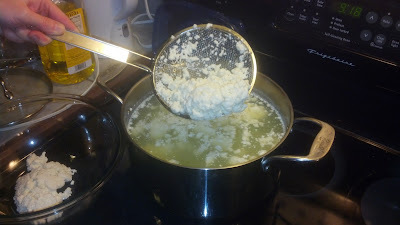 I just love making cheese. then there's making space in the beer fridge and the fact that it almost all reaches peak maturity at the same time so it seems to be feast or famine. Half the fun is just learning what goes into these processes though. You end up with so much appreciation for those who have perfected the craft. I'll have to consider this very carefully. It was pretty easy and quick (at least relative to beer, or even bread). Start to finish it took about an hour - one of those "That's it?" moments. Goat cheese would be cool. I know there are a few goat farms around here, I'll have to look into it. I work for the Dept. of Agriculture so somebody at work must know. 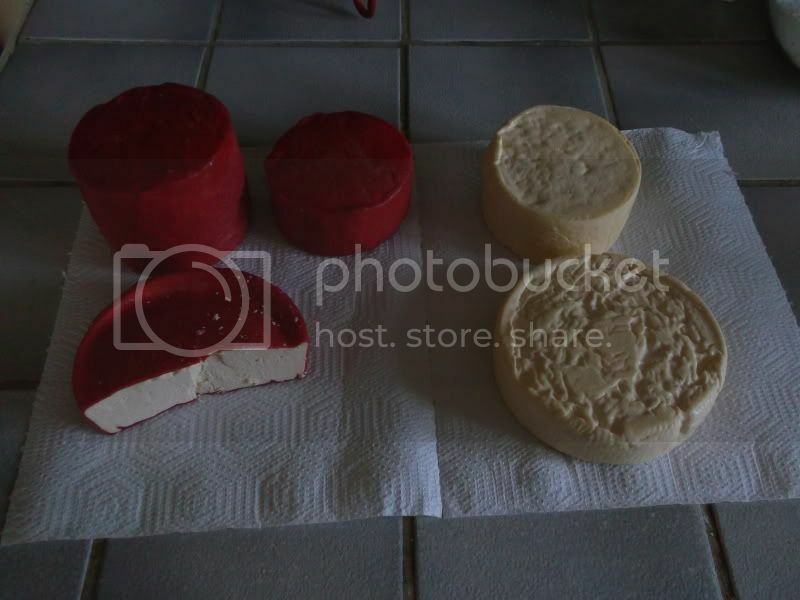 I love smoked Gouda and it is so expensive here, so I make my own. make it look better. The taste is the same, yummy. Care to share the recipe you used? Rennet or lemon juice? Any bacteria? The recipe and process were very similar to this. Except I used 2tsp citric acid and also added 1/8 tsp kid lipase to the cold milk. I also added calcium chloride just before the rennet because the milk was pasteurized.